I would like more information about 3115 5th Avenue. Great investment property, located in the up and coming Northside of Richmond. This area of the city is undergoing revitalization to homes and commercial properties, a great area to invest in. This home has some original 2 panel solid wood doors, as well as hardwood flooring. 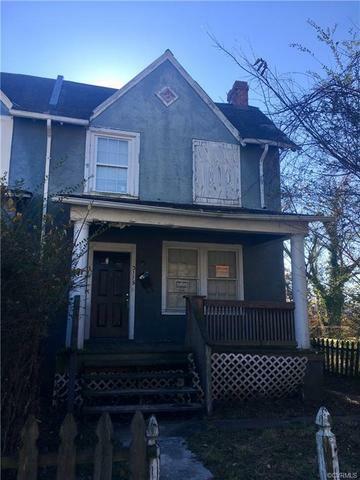 Could be flipped for profit or renovated for rental purposes. Don't miss out on this great investment opportunity. House is being sold in "AS IS" condition. No electricity, bring a flash light! Directions: Brookland Park Boulevard to 5th Avenue. House is on the right side.